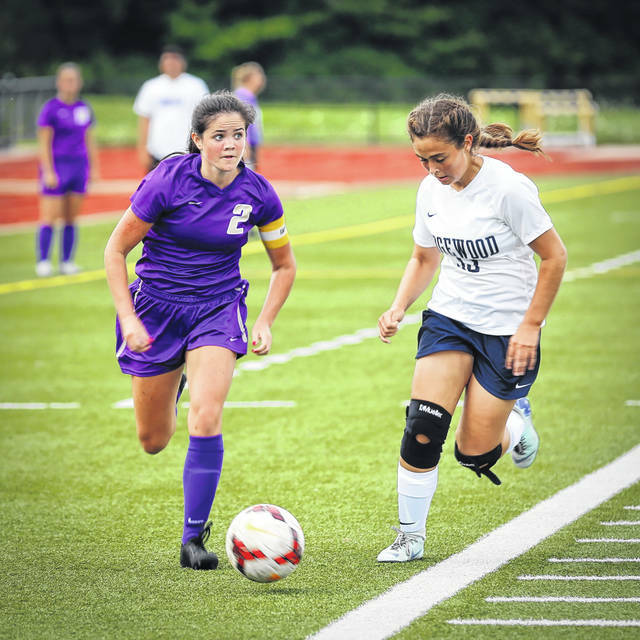 It’s a mixed bag for the county’s girls soccer teams this fall as two teams add several talented freshmen and another is returning six starters. 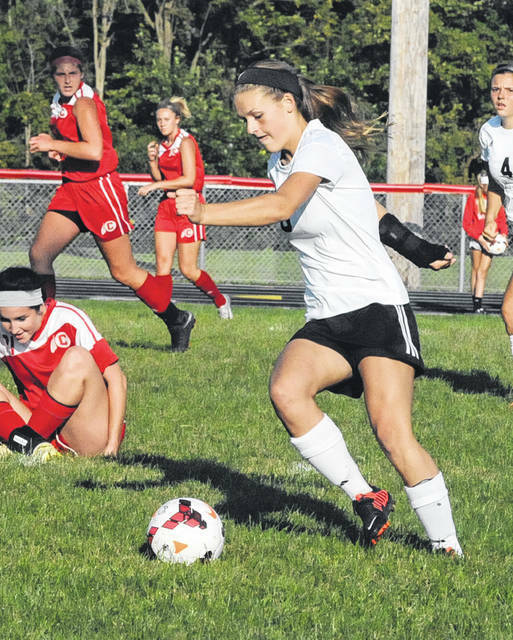 PREBLE COUNTY — It’s a mixed bag for the county’s girls soccer teams this fall. Eaton welcomes 11 freshmen to the program and its roster is a deep as its been the past five seasons. Preble Shawnee will rely on the leadership of its returning players to make a run at a league title. Tri-County North adds nine freshmen to the roster in hopes of eventually replacing the eight seniors it lost from last season’s conference championship team. Eaton, coming of a 4-11-2 season, will rely on its five seniors to mentor the talented incoming freshman class. ”So far we’ve improved each of the last four seasons. Once again, I am very excited about the upcoming season. What’s not to like about 11 incoming Freshman, four of which will be getting a lot of playing time on varsity,” Eaton coach Michael Bacher said. Bacher said Mara Posey is one of those and will help control the midfield, winning fifty-fifty balls, and possession. Juli Couch will help provide a physical presence in the back field and will transition to midfield in the future. The Eagles boast talent on the wings with Rylee Ruebush and Amyah Thacker. Senior Tyler Pittman is the heart beat of the team, according to Bacher. “We need her to be more offensive this year. Everything we do is through her,” the fifth-year coach said. Bacher said senior Emily Dungan will be the team’s main scoring option. She was a first-team all-league selection last year and brings plenty of hunger and a competitive attitude with her. Senior twins Anna and Ashlynn Black will provide another scoring option as well as Ashlynn who can erase mistakes while playing goalie. “We are the deepest we have ever been,” Bacher said. Kylee Kidwell, Madison Fugate, and Izzy Trader are very capable of lighting up the scoreboard as well, according to Bacher. Defensively, Kendall Combs is as good as they get at stopping people’s scoring threats and making a huge jump from last year is Whitley Baldwin. Baldwin will see time at midfield and defense. Senior Ashlynn McKee and Mercedes Welcome will be strong defensively as well. The Eagles are hoping two players return from injuries, which will give the team even more depth. Both sophomore Alaina Schaeffer and junior Gabrielle Petrey are out for a while. Bella Hurd will see time at goalie and on the field. “As you can see, there’s a lot to talk about, we are very deep including Trinity Eddy and Lexi Brooks to see some time as bubble players,” Bacher said. Preble Shawnee lost some talented players from a team which finished second in the Southwestern Buckeye League Buckeye Division last season. The Arrows, however, return a ton of talent, according to second-year head coach Jeff Stiver. “I have six girls returning that I started last year,” Stiver said. Back are senior midfielders Abby Bulach, Bailey Downard and Jenna Lovely. Also back is junior midfielder Cami Hollon, senior forward Brenna Woodard and senior defender Logan Hollon. Hollon, Downard, Woodard and Bulach all won SWBL honors last season. Downard, Woodard and Bulach won Southwest District honors and Bulach was Division III All-District. Woodard was the team’s second leading scorer with 16 goals, while Woodard and Bulach tied for the team lead with 12 assist apiece. All of have started for at least two seasons. “Every other player (with the exception of Cami) is key because they were all JV players last season. They are all newcomers this year,” Stiver said. Despite returning six starters, Stiver said this is a rebuilding year. We will rely on our few seniors to be our leaders, our success will depend on the development and the transition of all the JV players that now have to play key roles on the Varsity squad. Tri-County North is coming off its first conference championship in school history, but has to replace eight seniors from that team. The Panthers do return four starters to go along with nine freshmen. Back is senior Taylor Green (all-league 1st team and all area 3rd team) a 3-year starter and team captain. ”We moved Taylor to forward this year and we expect big things from her this year and she has some big shoes to fill at the top of our offense,” said North coach Ted Thies. Senior midfielder Preston Lipinski (All league special mention) returns as well. She is a 3-year. “W will need Preston to pick up her scoring from last year and she must stay involved the whole game for us to be successful,” Thies said. Junior defender Lani Baldasare moved up a line to stopper and has been doing a great job, according to Thies. Junior defender Emily Norris will be at cnter back this season. “We needed to add some speed to the back line and Emily was the logical choice she is a team player that can play any position on the field, including goalie, ” Thies aid. The Panthers have one senior playing for the first time in Mykenzie Keener. Others returning that saw significant playing time last season are junior stopper Emelia Warnecke, junior defended Teanna Sykes and junior midfielder Mikey Manning. ”Emelia will start at stopper this season, I really wanted to play her at forward but our team is a lot stronger with her at the stopper position,” Thies said. ”Mikey is our utility player. She can play anywhere on the field and doesn’t mind doing so. She is a treat to coach,” Thies said. Among the freshmen is Mackenzie Bacher, who was elected team captain. The Panthers will start a freshmen at goalie this season. Another freshman that has really impressed during practices and games is defender Shawnee Krull. “She does a very nice job of protecting the back corner on defense and does not seem to be intimidated by anyone, she doesn’t play like a freshmen,” Thies said. Other freshmen on the radar include Lexi Madigan, Kellie Cooke and Jenna Klingerbarger. But the future looks bright. 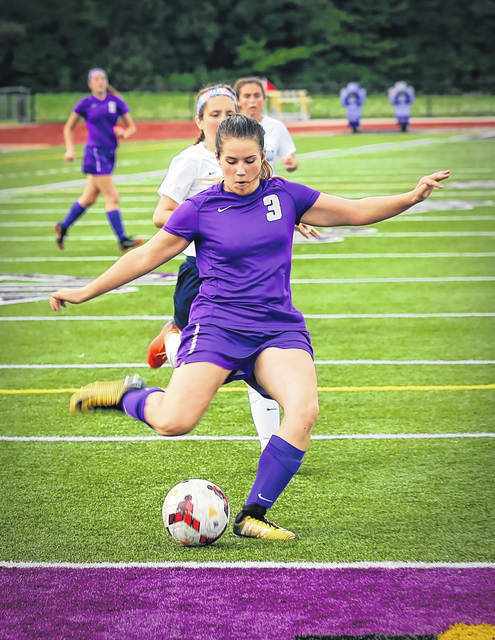 “Replacing the eight starters, 70-plus goals, five all-league players, two all-area players, and one all-state player would be tough for any coach, but I’m very happy with the talent that we have this year and the future looks bright for TCN girls soccer. The question is does that future start this season? Stay tuned,” Thies said.